I made it to enter into the 'Knitted Shawl' category of my local Agricultural Show and am so thrilled that it actually won 1st Place!!!! The Malabrigo Sock yarn was the perfect match for this shawl and used up all but 10 yards of the 440 from the 100g skein. With only 1 skein in this shawl it's perfect for wearing right now, as the days start to warm and the nights are still a little chilly - it's just the right amount of 'bulk'. I currently have 4 shades of the Malabrigo Sock left in my shop if you're interested - they're $19.40 per skein! 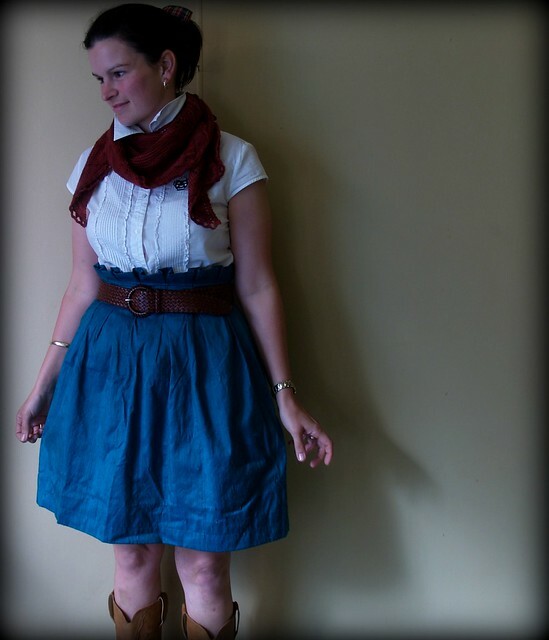 I also made the skirt I'm wearing in these pix to wear to our local Picnic Race Day. I used this great tutorial from Burda and some Raw Silk I scored from the sewing shop down the street for $5 a metre. My whole skirt cost a total of $7.50 - WHAT A BARGAIN!!!! Love this outfit on you. 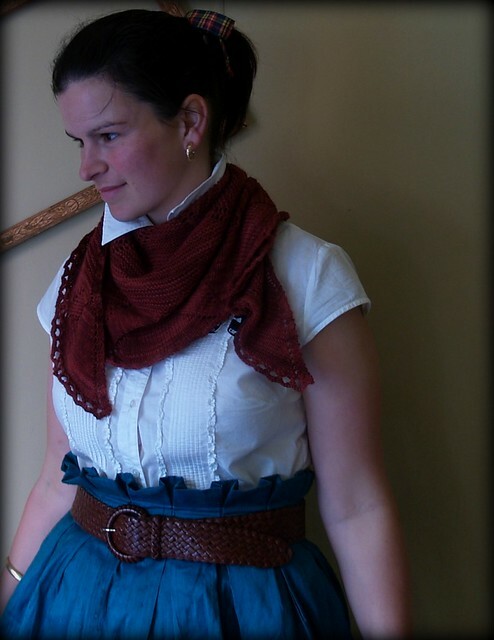 Your shawl and hand made skirt look great together. And of course, the mix and match opportunities are endless. Great job! Oh your outfit looks great Jodie. I have to say that the shawl looks beautiful and congrats on winning 1st place too. You are clever Jodie, love your outfit! Wow the whole outfits looks fantastic! Well done on first place. You should pin the ribbon to your blog!! oh I love the whole outfit. Just beautiful. I have big plans for sewing for summer very, very soon. (studies almost done - almost). Congrats on first place too. You are so darn cute! 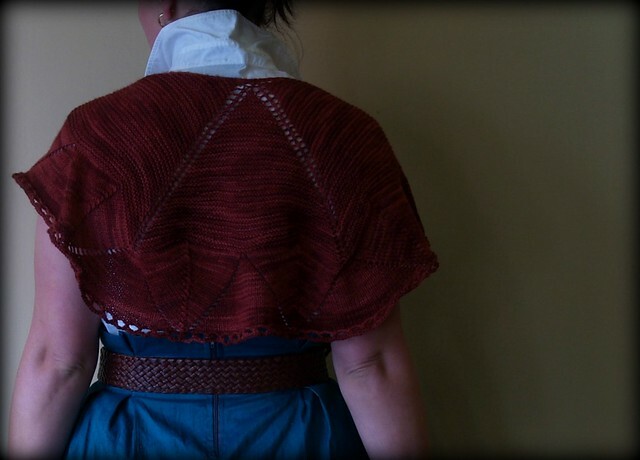 That shawl is beautiful -- it's a very well deserved first place -- Congratulations! congrats on your shawl Jodie, a well deserved win, and the skirt if fabulous. my question is... when do find the time to be so creative? They sure picked the right one to win first place! The shawl is beautiful and looks stunning on you. Isn't it grand to be able to make lovely things for your wardrobe, and doesn't it feel good to be able to say, "I made that" when people ask where you got it from? Can't wait to see what garment flies off of your needles or hook next.